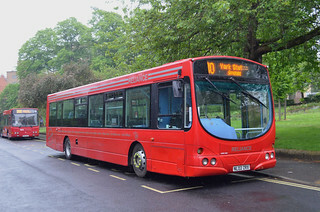 Following the entry into service of Optare Solo SR M900SL/Optare 723 (YD63 UZC) at Hexham, this vehicle has been withdrawn from service. 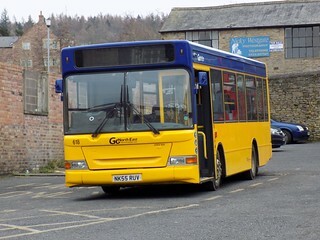 A further Optare Solo is expected to be received from Dawson Rentals in the near future to allow for the withdrawal of similar 619 (NK55 RUW) and hence eliminate the Mini Pointer Dart vehicle type from the fleet. 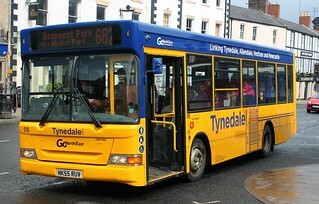 This vehicle has received the revised "Tynedale Links" branding, in line with the launch of the new Optare Solo SR minibuses on some of the "Tynedale Links" network of services. 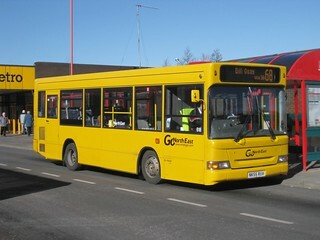 Ahead of new Optare Solo SR minibuses arriving at Hexham Depot to upgrade some of the "Tynedale Links" services which currently operate with Transbus Mini Pointer Darts; this vehicle has been repainted into a plain yellow base livery with a blue strip above the windows, providing a consistent brand design with the new vehicles due for delivery shortly. 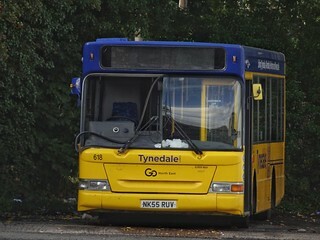 Following the completion of internal modifications at Thornton Brothers, Ashington, this vehicle has returned to service at Hexham Depot. 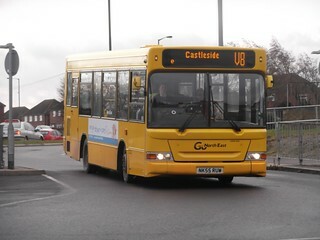 Prior to cascade to Hexham Depot for school contracts, this vehicle has been temporarily withdrawn from service, and is receiving internal modifications at Thornton Brothers, Ashington, which see new seats installed, complete with seatbelts. This vehicle has been retrofitted with Euro 5 Eminox modifications. This upgrades the vehicles from their current 'Euro 3' status. 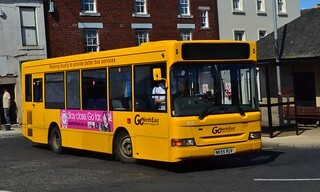 Although it retains the taglines of the "Venture" network of services, this vehicle has now lost all "Venture" branding. 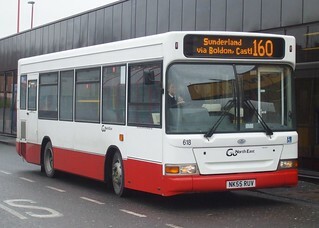 Following the entry into service of brand new Optare Solo SR vehicles on Consett's "Venture" network of services, this vehicle has been released for cascade, and has transferred from Consett Depot to Peterlee, to allow the withdrawal of older Dennis MPDs. Following its recent repaint, this vehicle has received "Venture" branding again. 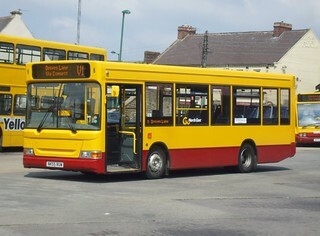 Having previously carried "Venture" branding, this vehicle has been repainted into a yellow base livery. This vehicle has gained "Venture" branding. 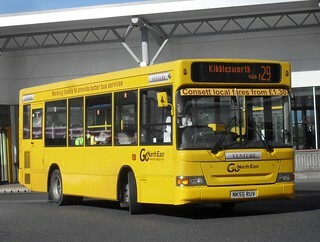 As a result of service changes, this vehicle has transferred from Saltmeadows Road Depot to Consett. Following transfer to Saltmeadows Road Depot, this vehicle has lost its "Venture" branding. 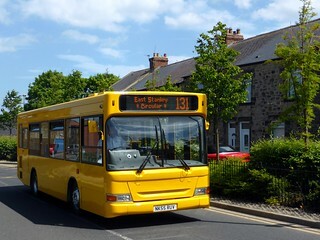 As a result of service revisions to routes on the Tyne Valley corridor, this vehicle has transferred from Consett Depot to Saltmeadows. 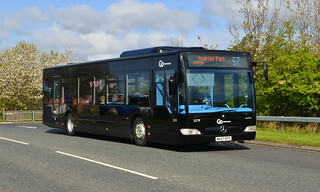 A new outstation at Consett has commenced operation from 3rd October 2010, and has received an allocation of 12 MPDs from Stanley Depot. As a consequence, this vehicle has transferred from Stanley Depot to Consett. 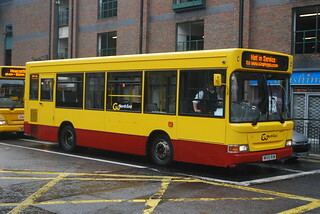 Having previously carried a maroon skirt, this vehicle has received a partial yellow repaint to remove the maroon skirt. 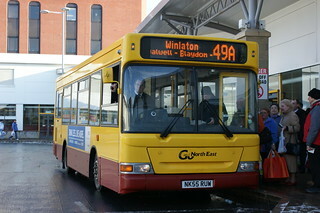 As a consequence of vehicles being acquired from Arriva North East with the swap of the operations at Ashington and Hexham, this vehicle has transferred from Winlaton Depot to Stanley. 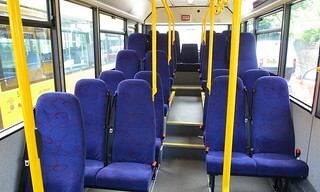 This vehicle has transferred from Stanley Depot to Winlaton. 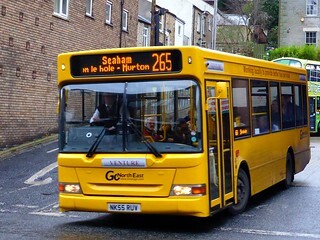 This vehicle has transferred from Deptford Depot to Stanley, for use on Consett's local "Venture" network of services. 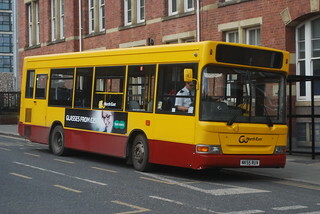 This vehicle has been repainted into a yellow and maroon base livery. 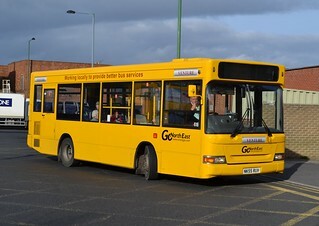 New in 2005 with Redby Bus & Coach Ltd, this vehicle has been acquired and has entered service at Deptford Depot after acquisition of the company's local bus operations.